We build all size Plasma case including singles and multiples, foam lined to suit. 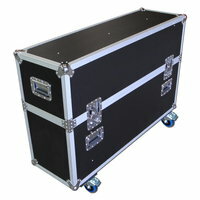 Flight Case Warehouse are now manufacturing Flight Cases to suit your 3D TV. All sizes available in singles and multiples.